Fujitsu has been a pioneer in the notebook category, dating back to its P2000, one of the first ultraportables to feature an optical drive. 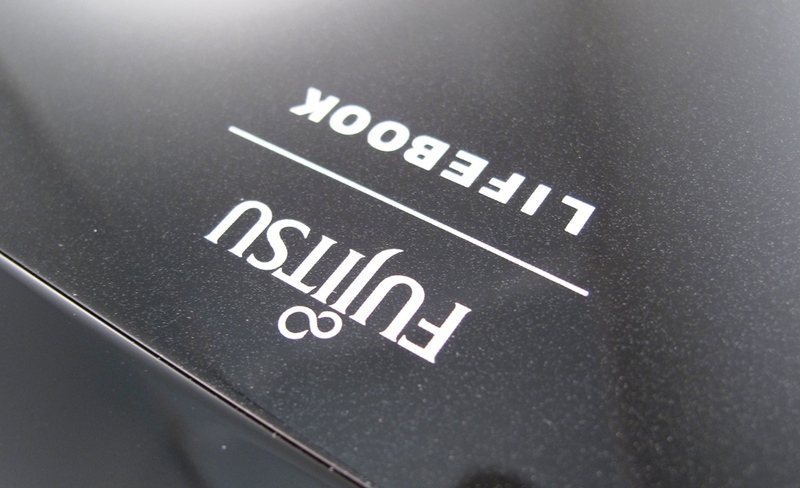 In this roundup, however, the standard Fujitsu set is better implemented by its competitors. In the end, the P8020 suffers most from the caliber of the competition. Taken as a whole, the P8020 is a competent machine, with a wealth of features packed into its wee formfactor. But with other ultraportables costing the same or less while offering superior qualities and/or features, the P8020 can’t help but seem average by comparison. 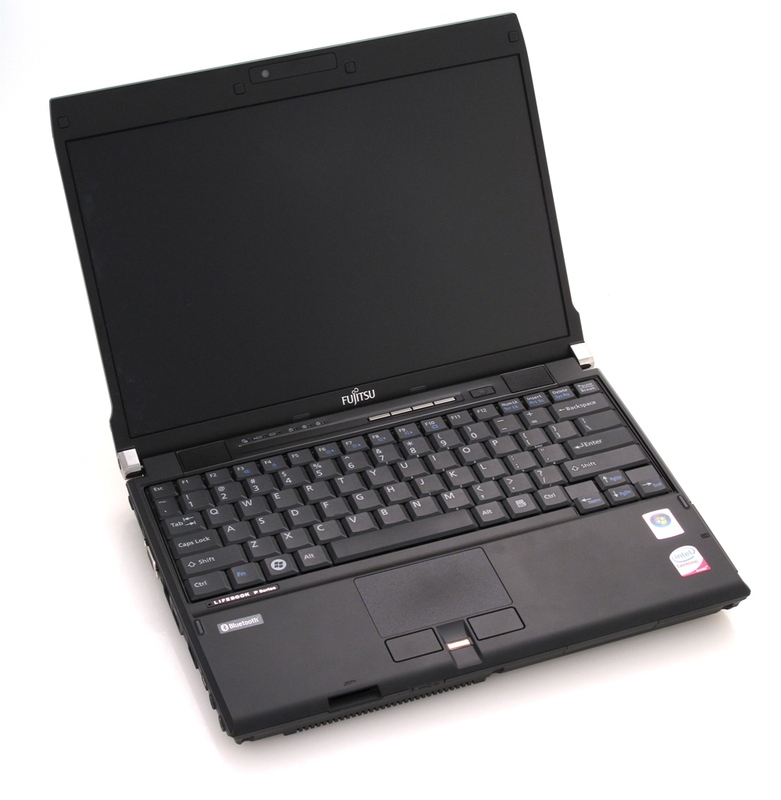 It's a 12.1in model that weighs 1.4kg, yet the Fujitsu LifeBook P8020 packs a DVD burner, an Intel Core 2 DUO CPU, 2GB of RAM and a 250GB hard drive. Most importantly, it ships with a 3G (UMTS) module that will work with mobile broadband plans from any carrier. All up, the Fujitsu LifeBook P8020 (3.5G) is a good looking, lightweight and feature-rich laptop that is best suited to users who work frequently while travelling. At £1,499, it's slightly better value than the Toshiba Portege R600, but we think the Fujitsu would be improved by a solid state drive and wider keys. The P8020 from Fujitsu Siemens is a lovely looking ultraportable notebook with a lot of plus points. But it is expensive and so may be out of the price range of many of us. As ultraportables go this is a neat offering. The built-in optical drive is a boon and the build is solid. It is expensive, though, and as always with ultraportables, some people may find it a little cramped. At over £1700, there's no getting away from the fact that the LifeBook P8020 is pretty darned expensive. With a 12.1in screen, netbook-beating processor, robust chassis and other extras such as built-in 3G, the P8020 does go some way to justifying it's price tag. However, the keyboard simply feels too cramped. At roughly the same price, Sony's Vaio TT has a far more finger-friendly keyboard and a better battery life, albeit with an 11.1in screen. Yet its relatively light weight and larger display will appeal to some to get a LifeBook. Fujitsu Siemens' LifeBook P series is a range of ultra-portable laptops equipped with mobile broadband and a webcam. It includes the P7230 and P1610 -- the latter a convertible tablet PC. The newest P-series model is the P8020, a well-featured 12.1-inch ultra-portable that costs around £1,700. 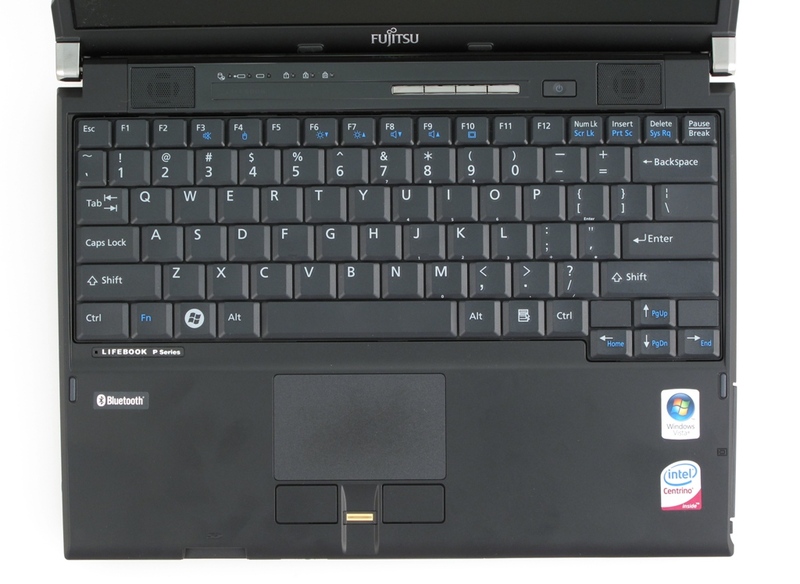 Fujitsu Siemens' LifeBook P8020 is an impressive ultra-portable in terms of looks and usability. It's robustly built -- except for some flex in the lid section -- with an excellent screen and a good keyboard. Mobile-broadband support is a plus, as is the good battery life. The only downsides are the moderate graphics performance and the £1,700 price tag. Ultraportables have had a tough time of it in recent months, with a veritable herd of cheap netbooks trampling all over their previously pristine territory. And when you can buy a 10in or 12in laptop that's perfectly usable for writing email and browsing the internet and has a 3G modem built in for under £500, why spend any more? Fantastic battery life and a transflective screen aren't enough to justify a price tag this high. Before netbooks became all the rage, an ultraportable was the only choice if you wanted a compact, lightweight laptop companion. With the Fujitsu LifeBook P8020, we’re happy to see companies still advancing the latter category. The business-oriented P8020 squeezes a built-in optical drive, a full contingent of ports, and decent (for the class) performance into a 2.9-pound machine. Sure, at $2,499 with the solid-state drive (SSD) in our model (a $450 option) it costs a lot more than a netbook. But unlike a netbook, when matched with a port replicator and an external screen and monitor, the P8020 can serve as your primary work PC. 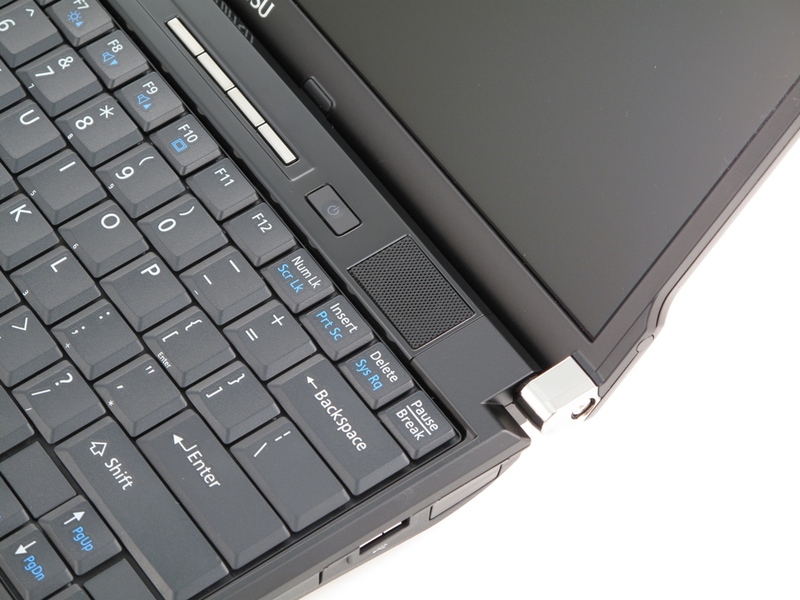 The Fujitsu LifeBook P8020 proves you can get an optical drive and all manner of ports in a 3-pound system. Fujitsu's LifeBook P8020 is a well designed business laptop that offers a complete laptop experience including a DVD burner in a small 12.1-inch package. Many people might consider purchasing a netbook for their low cost and portability, but the LifeBook P8020 offers so much more admittedly at a much higher cost. It certainly is lightweight at just under three pounds but has a variety of small design decisions that make it slightly attractive than business class systems from HP or Lenovo. With the latest Intel Core 2 Duo processors (even the ultra low voltage ones), notebooks like the Fujitsu LifeBook P8020 are a perfect fit for business users who need an ultralight that’s capable of running MS Office apps, web browsers, Photoshop and phone syncing tools (like the BlackBerry desktop software) well. At 2.9 lbs., the Fujitsu is lighter and a bit faster than the Toshiba Portege A600, and it shines when it’s armed with a Solid State Drive. 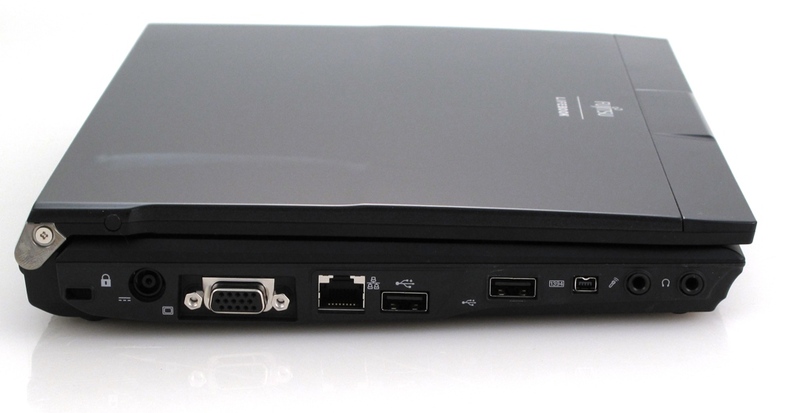 The notebook has all the necessary ports, a built-in optical drive and most security features. The super capacity main battery will lure business travelers who are often away from a power outlet and the notebook has a business serious but stylish look. Though the notebook performs well at multimedia and wireless, the display disappoints with a Tablet PC-like grainy screen and very limited viewing angle, and the speakers could sound better. The Fujistu LifeBook P8020 is a good business ultraportable but could be considered limited when compared against rivals from HP and Lenovo. The build quality, while well above a standard consumer notebook, is slightly under the Thinkpad X200 or EliteBook 2530p, yet the P8020 is priced above both. 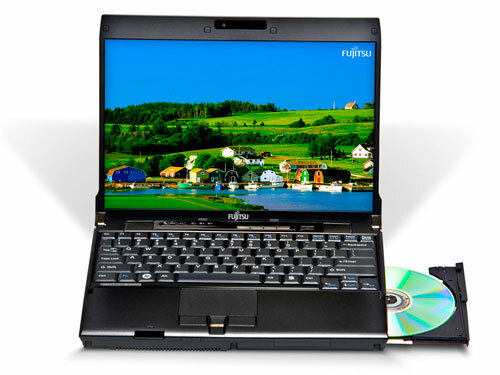 The semi-rugged feel isn’t there, but Fujitsu does manage to offer a very lightweight construction and even an optical drive. The one aspect where I feel the P8020 really shines is the screen, which is a step above other 12" business notebooks. 69.13%: Diese Bewertung ist schlecht. Die meisten Notebooks werden besser beurteilt. Als Kaufempfehlung darf man das nicht sehen. Auch wenn Verbalbewertungen in diesem Bereich gar nicht so schlecht klingen ("genügend" oder "befriedigend"), meist sind es Euphemismen, die eine Klassifikation als unterdurchschnittliches Notebook verschleiern.